What is the definition of a dystopia? An attempted utopia that has gone wrong? It is time to stop using labels such as “dystopia” to describe certain Arabic novels that tell about the demise of the Arab Spring, suggests award-winning translator Robin Moger. “We need to find some new terms, maybe “future history,” explain Ursula Lindsey and Marcia Lynx Qualey in their Bulaq 6 podcast. “It is a lot more descriptive than dystopia. 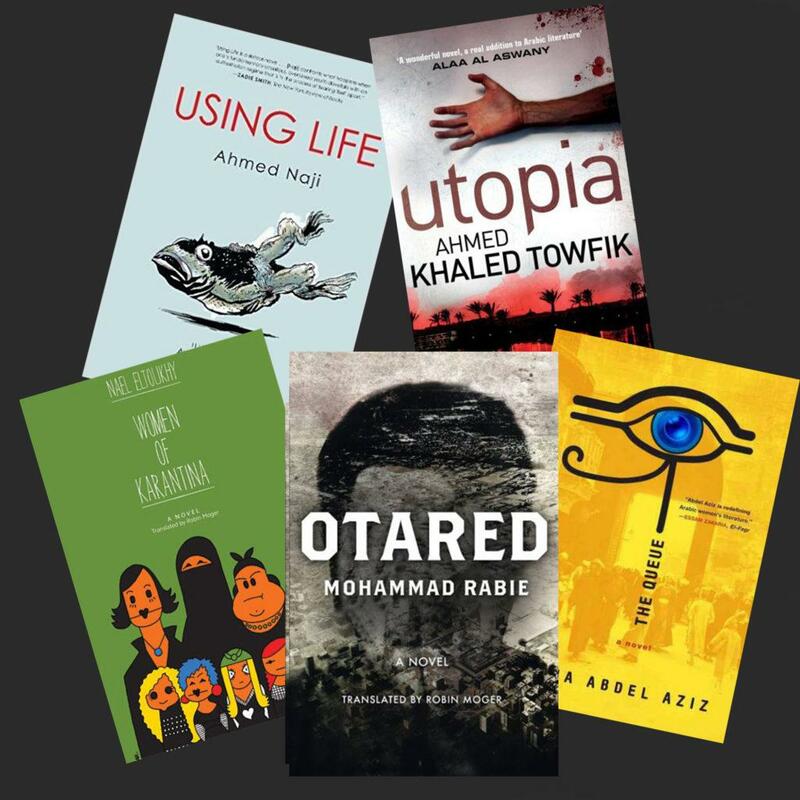 It is not the flip side of a utopia but an exaggeration of certain contemporary elements.” Listen in from 00:49:05 as they discuss Hoopoe novels such as Women of Karantina by Nael Eltoukhy (AUC Press, 2014) and Otared by Mohammad Rabie (Hoopoe, 2016).